After the February Revolution, numerous political parties fought for influence in the Provisional Government that formed as a response to the revolution. The political Left occupied a broad, ever-changing spectrum of ideas and strategies focusing on three key issues that most Russians, at least those rioting in Petrograd, wanted to immediately address: political reform, economic reform, and whether or not to remain involved in the Great War. Socialist leaders were split in 1917. If the October Revolution was led by Bolsheviks (meaning majority), the February Revolution was at least informed by the Mensheviks (meaning little, or minority), two distinct socialist factions. In 1903, Russian Marxists tried to forge a cohesive political party, the Russian Social Democratic Labor Party, for the third time at their II Congress. Their initial division was small. Mensheviks were more willing to allow liberals and bourgeois activists into their circles, whereas the Bolsheviks were highly suspicious of liberals who might muddy their leftist proletarian-focused goals, and wanted tight control of who could join the Party. The etymologies of Bolshevik and Menshevik are misleading. Bolsheviks were “an embattled minority” whose political success was unlikely leading up to the October Revolution (Daly and Trofimov xxviii). The moderate leftist Mensheviks represented the majority of leftists in the Provisional Government, while several far-left Bolshevik leaders (including Lenin, Trotsky, and Stalin) were struggling to return from exile. Bolsheviks and Mensheviks were torn over subtle nuances, but ultimately aimed for a radical leftist recreation of Russia, rather than mere top-down political reforms. Both camps “agreed that workers could not solve their problems through shopfloor-struggles exclusively,” but Mensheviks “proposed to restore production under management-control” as opposed to absolute proletarian control, whereas Bolsheviks took the more orthodox Marxist approach in their desire “to have workers themselves organise production collectively, and in their interests” (Marot 126). Mensheviks cautiously called for “dual power” between the Provisional Government and the Soviets, and many workers “quickly endorsed the political objectives the Mensheviks set for the working class” (126). Radical Marxism, then, was unlikely to come from the ground up exclusively. In addition to Bolsheviks and Mensheviks, there were also the Trudoviks, a moderate peasant-based labor party, and the Cadets, who favored a constitutional monarchy with the Tsar in power but a strong Parliament, similar to England. Both the Cadets and Trudoviks represented what might be called Russian conservatism, emphasizing all-Russian patriotism, unity, and reform. The Cadets held a majority of votes in the Provisional Government for some time, which is why the Provisional Government never withdrew from the Great War (the Bolsheviks would in December). Between the Trudoviks and Bolsheviks were several shades of Marxist thought active in both the Provisional Government and the Soviets. Within the tightly-knit Bolshevik community, which comprised an intelligentsia whose goal was to forge a communist state, were key distinctions. Vladimir Lenin believed that “‘professional revolutionaries’ were needed to lead the proletarian party” into action and to prevent liberal and/or bourgeois infiltration (Treadgold & Ellison 40-41). Often accused of “Jacobinism” (the idea that only an elite intelligentsia should lead revolutionaries), Lenin’s model of a “party system” reflected the sense of order he wanted to affix to the revolution. Leon Trotsky was critical of the risks that a centralized Party brought. Lenin and Trotsky wanted a dictatorship of the proletariat; Stalin’s eventual dictatorship at the expense of collective authority seems to validate Trotsky’s anxieties about centralized organization. The lineage is crucial to follow: Lenin built his politics around an orthodox reading of Marx, further than Marx allowed himself to go. Lenin did not construct Leninism, but his particular reading and implementation of Marxism, emphasizing the organization of a Communist Party, became the tenets of Leninism, which influenced subsequent communist governments. Trotsky’s politics were not built as a response to Leninism, but as a response to Stalin’s reading and implementation of Leninism, which became Stalinism. Trotskyism, then, is a Marxist-Leninist rejection of Stalinism. Trotsky spent much of his time before the October Revolution straddling the nuances developed between Bolsheviks and Menshevisk and advocating “permanent revolution.” Unlike Lenin, he did not trust the Russian peasantry to rise up alongside the industrial proletariat. Instead, he looked beyond Russia’s borders to the millions of other workers in western Europe who had been consumed by the Industrial Revolution. Trotsky wanted to spread communism actively beyond Russia, so that an international community of urban workers could unite in a global revolution, and this could only happen if revolution was perceived to have no stopping point. However, he gravitated toward Lenin’s party system in 1917. What is key is that just about every political ideology present in the Provisional Government in April wanted some kind of reform. Even the Cadets recognized the need for more autonomy among workers and peasants. The unity of the Communist Party did away with these political tensions, which prevented peace and economic reform, but Lenin died before his party system could prevent individual dictatorship. The diversity of leftist thought in early 1917 may have prevented more radical reforms, but as such diversity diminished, the authority of the Party began to overstep the autonomy of the Soviets. Marot, John. The October Revolution in Prospect and Retrospect. Brill, 2012. This entry was posted in History and tagged 1917, Communism, History, history of socialism, intellectual history, Leftist, Leninism, Menshevik, Russia, Russian History, Russian Revolution, Soviet History, Soviets on April 7, 2017 by keeneshort. Today, as we mark the two hundredth anniversary of Napoleon’s defeat at Waterloo and a definite end to his conquest of Europe, I wonder what would have happened if he’d won. If the French had defeated the British-led coalition, France would still have faced Britain across the English Channel, Prussia (part of modern-day Germany) to the east, and Russia even further to the east. In other words, Napoleon would have faced a potential war on two fronts, the same situation Germany faced in both World Wars. French forces were already stretched thin, particularly from colossal defeats in Russia, so it seems unlikely that the French would win a two-front war. Perhaps Napoleon would turn to diplomacy. Britain historically fears a continental empire, preferring a divided and contentious Europe. If Spain, France, Prussia, Russia, and the Netherlands cannot work together, England can keep them from uniting against the island Kingdom. Napoleon would be wise, then, to turn to Prussia and make a political pact against Britain. Such treaties were common during the nineteenth century, eventually creating a complex alliance system that some blame World War One on. So, to avoid a military defeat, Napoleon turns to Prussia and promises to work with them if Britain or Russia ever turn against their interests. What would certainly be known as the Franco-Prussian Alliance creates a strong central-European power. Napoleon dies decades later of stomach cancer, but in this universe he dies a hero. Statues are built to him, poems in French and German are composed, and peace settles now that Imperial France has secured its assets abroad. 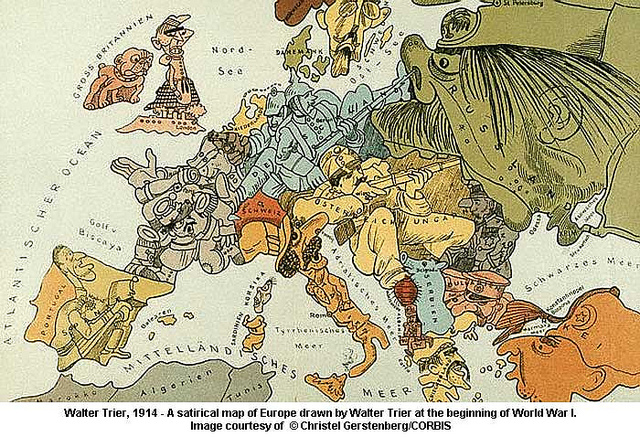 A Franco-Prussian alliance changes the shape of Europe completely. German unification never happens, but Franco-Prussia probably allies with Austro-Hungary anyway. 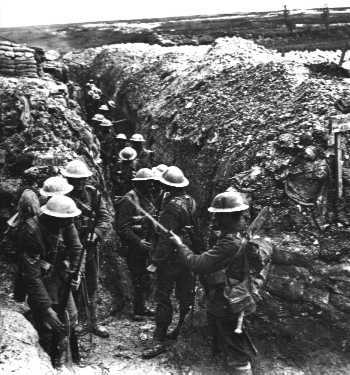 As a result, the First World War pits central European powers against Britain and Russia rather than France and Britain against Germany and Austria. However, the combined strength of France and Prussia, along with France’s imperial allies of Italy, Spain, Portugal, Romania, and probably the Ottoman Empire, manage to defeat Russia and Britain. The U.S. never involves itself regardless of the outcome, and France gains all of Britain’s colonies. As a result, French becomes the dominant language in the world, no fascist dictators come to power, and the U.S. keeps to itself and Latin America. Of course, this is not an objective speculation. Counterfactual history is subject to individual decisions as well, namely those of the historian. My own bias against fascism motivates me to see a possible way out of it. There’s no indisputable likelihood that there would be no World Wars if Napoleon had won a single battle. There may have been a worse war, there may have been no more wars, but there’s no way of knowing for certain. As such, counterfactual history can sometimes show more about the historian’s own bias than about history itself. In any case, thousands died at Waterloo, and millions have died in combat since. Speculating about how we could have avoided past conflicts, while intriguing, can be a distraction from how to avoid conflicts now. This entry was posted in History and tagged Britain, Counterfactual history, Europe, France, History, Napoleon, Napoleonic Wars, Prussia, Russia, speculative history, Waterloo, World War One on June 18, 2015 by keeneshort.